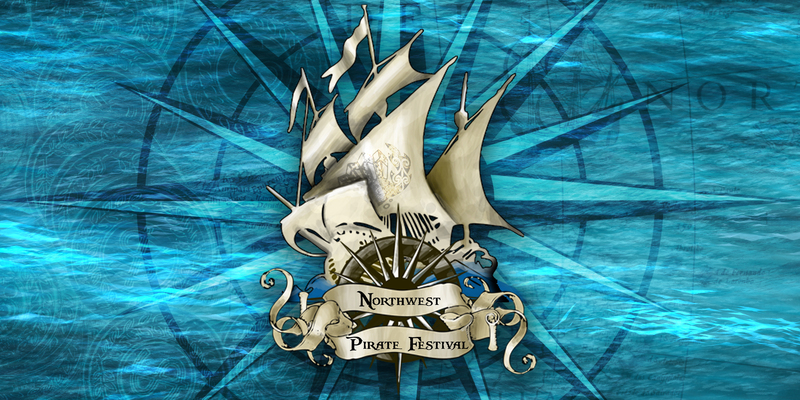 Northwest Pirate Festival | The premier pirate experience of the northwest! Ahoy Mateys and Welcome Ye to Blacksand Bay! The year is 1719 and Black Sand Bay, the thriving hub located on the Eastern coast of North America, has just lost its unofficial authority. The infamous Captain Galavar has died of “natural causes”. Black Sand Bay, known for its rich trade options, goods and the peace to enjoy a port that is not at war or ruled by a monarchy finds itself unclaimed and unregulated for the first time in 40 years. News of this fact has reached far and wide and many have set sail to claim Black Sand Bay for themselves. Two of the most famous and notorious pirate captains & their salty crews (Freedom’s Revenge & the Emerald Rose) race to the port to campaign for its patronage. Both captains are seeking autonomy in a neutral port where they can gain greater advantage, glory and a reputation of unparalleled renown in all the Seven Seas. Join our 2 infamous Pirate crews on July 13th & 14th (2019) as they seek to win your favor & support with music & shanties, entertaining battles, cannons, shenanigans and more! Food is aplenty at The Galley, you can drink rum & grog at The Crow’s Nest Inn and buy all sorts of baubles & trinkets at The Market for every sea-fairer in every price range. Young and old – ALL are invited to join in on the festivities of Black Sand Bay & the NW Pirate Festival so come dressed in your BEST pirate attire! Get Y'er Tickets Now , Me Hearties!